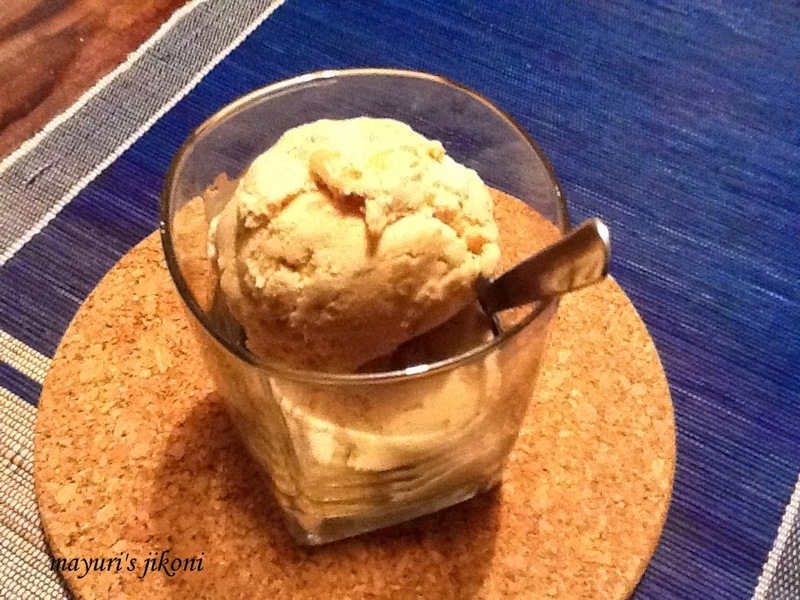 I made this ice cream last year at my son’s place using his ice cream maker. It was a welcome treat at that time as it was pretty hot in Montreal. Montreal summers can get hot and humid. I am waiting to buy some fresh cream to make it again to share with friends. Its great that apples are no longer a seasonal fruit, they are available throughout the year. Apple and cinnamon is obviously a no fail combination, a classic combination. I loved that with each spoon, I got to bite into a tiny piece of fruit. I remember years back that the only apples available in Nairobi were the tiny hard greenish types from Kitale and when I went to India the apples came all the way from Shimla, sometimes nice big and juicy and sometimes big but tasting like a potato. It was a treat getting apples for dinner at my school when in season. Nowadays, world over apples are available throughout the year and the choice is endless from pink lady, royal gala to granny smith. Well time to share the recipe with you. Blend cream, sugar, milk, vanilla extract, salt and cinnamon powder in a blender. Chill the mixture for 2 hours in the refrigerator. While the base is getting chilled prepare the swirl or sauce. Toss in the apple and sugar and cook till the apples are done. Add the spices and let the mixture cool down for a bit. Put it in the refrigerator till required. Take out the ice cream bowl from the freezer. Add the base to it and switch on the machine. Follow the ice cream maker instructions. I had to churn the ice cream for 25 minutes. Just 2 to 3 minutes before the ice cream is ready, add the swirl mixture. Alternately, mix in the swirl lightly by using a spatula. Serve as a soft serve or put the ice cream in a freezer proof container and freeze the ice cream for 1 hour. Use spices as you like. You may prefer to use cinnamon only. I used pink lady apples as they do not get mushy on cooking. 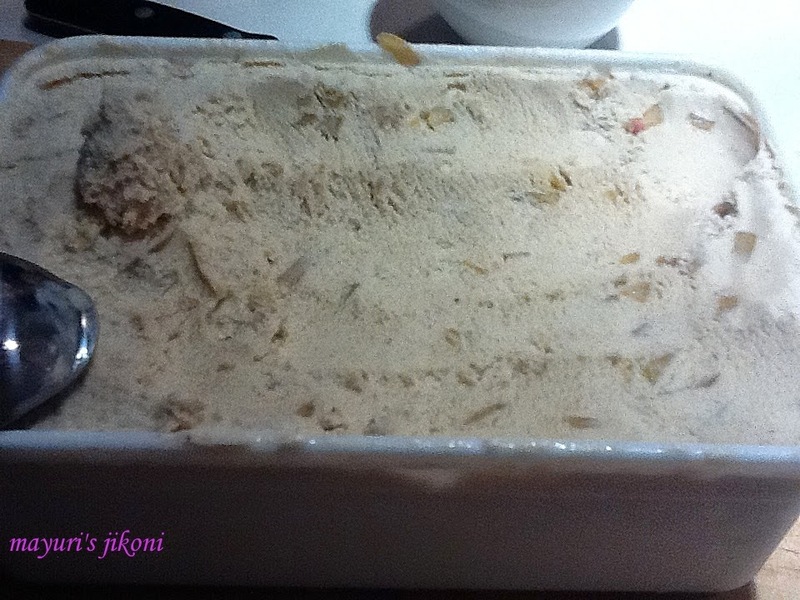 Adding a bit of salt brings out the sweetness of the ice cream. Perfect for cinnamon cake, love it. Different flavor of ice cream. Thanks for linking. Yummy ice cream! Thanks for linking it to my event! Delicious lovely ice cream, apple and cinnamon never go wrong.